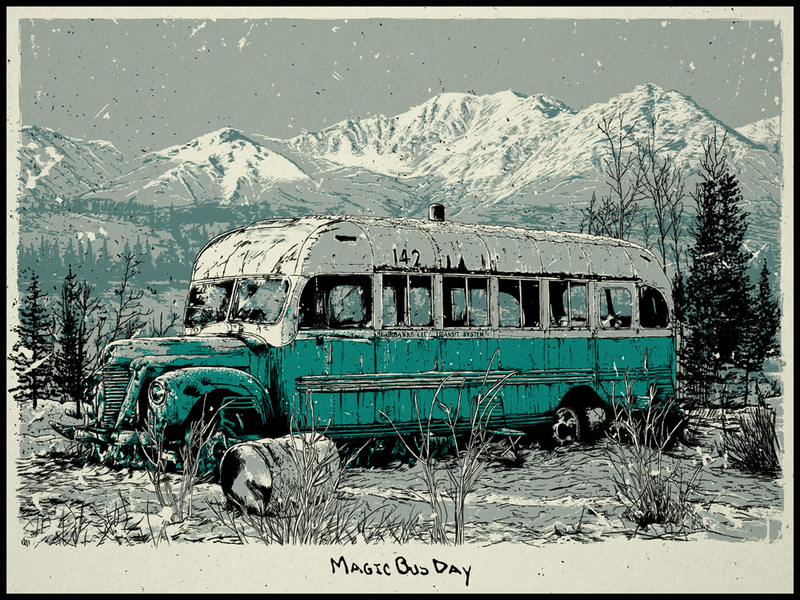 I was inspired to do this print as Christopher McCandless’s story really speaks to me. His gutsy decision to discard the constructs of modern society and live a more simplistic lifestyle, is something that can rarely be said about anyone’s existence. I’ve always been fascinated by survival stories, and people’s extraordinary existences. More recently I watched ‘The Epic Of Everest’ about the 1924 expeditions, those folks had a boldness we don’t really experience these days, because generally society keeps us safe, McCandless wanted that fear and freedom of truly ‘living’, and I can understand that. For this print I gathered various photo’s and comprised them digitally then worked up around 6 different tones of color and narrowed that down to 4 colors which I painted in different layers in Photoshop. It was produced during December at 2-3 hours stints at a time, and took between 30 – 40 hours. 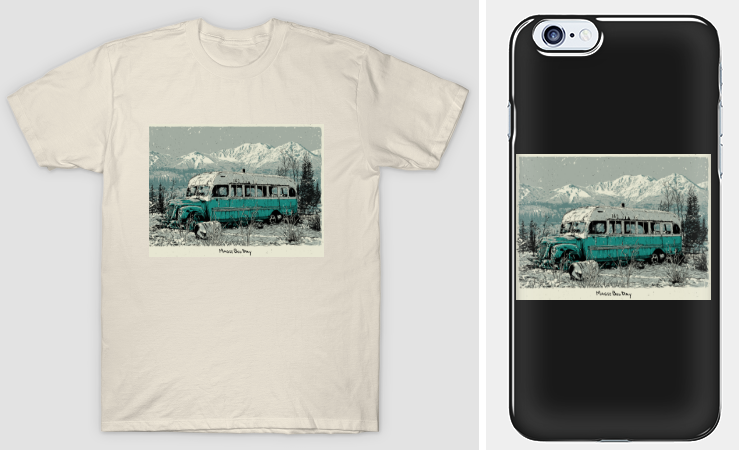 I decided to depict just the bus in the Alaskan landscape as I feel that shows the narrative between that which is man-made and the natural world. A bus in itself holds society together. I think this contrast of the material world and the wild is what that led McCandless onto his initial travels so for it to end where it did is something that I find in itself quite a poignant note. On a side note, you can ALSO purchase this image on tees, hoodies, and even iPhone cases. 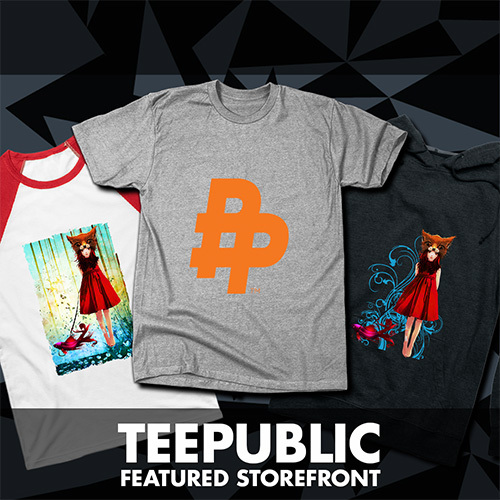 Yep, we have just opened our OFFICIAL TEE PUBLIC STORE and it is chock full of highly desirable, wearable art! CLICK HERE to see all the goodies we have to offer over there.